It's good to learn a variety of poker games, but are you specializing in any of them? There continues to be a steady stream of strategy advice available from PokerStars School, one of several free resources out there for poker players seeking ways to improve their games. Amid delivering daily entertainment and instruction via his Twitch channel, Lex Veldhuis of Team PokerStars Online provided ongoing "SCOOP Diaries" throughout the recent Spring Championship of Online Poker recapping his progress. 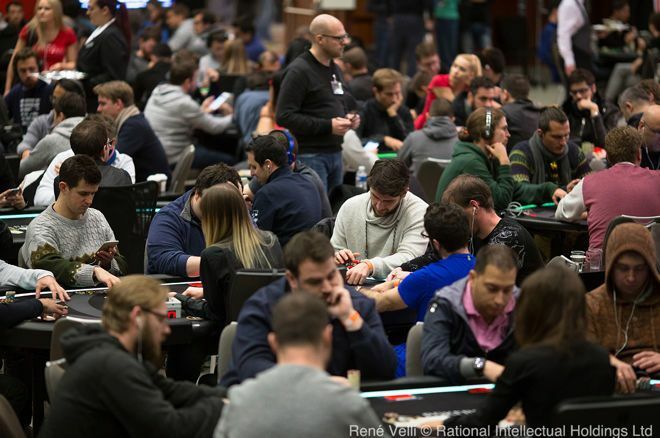 PokerStars School coach Brian "bfizz11" Fite has also recently provided more than two hours' worth of hand reviews and strategy discussion of his run to the cash in the Sunday Million. Meanwhile Pete "Carroters" Clarke has continued his multi-part series of vidoes chronicling various "Poker Pitfalls" to be avoided, most recently identifying a "Lack of Specialization" as a potential problem for poker players. By lack of specialization, Clarke is referring to those who actually play so many different poker variants they make it more difficult to get good at any one of them. Even if you focus only on no-limit hold'em online, you might find yourself jumping around between six-handed cash games, multi-table tournaments, sit & gos and spin & gos, and other formats, thereby failing to learn in detail the strategies required to succeed in one of them. It's a somewhat different point than the one sometimes made to learn all the games in order to improve your overall adaptablity and understanding of poker fundamentals. Which path would you recommend to those looking to improve at poker — to specialize in one variant/format or learn as many games as possible?